Residents of a neighborhood in the southern Bulgarian town of Devin had to stay awake through the night, aided by dogs and searchlights to ward off a bear. The brown bear was sensed by local dogs Friday evening around the local sheep-sheds, so people took measures to prevent it from killing their livestock. Bulgarian brown bears usually feast on berries, wild honey and insects, but sometimes they turn carnivorous and can be dangerous for other animals, including humans. Devin residents had marked the presence of a carnivorous bear near their town, with a horse and several sheep having being killed over the summer. The town of Devin is located in the southern end of the Bulgarian spacious and sparsely populated Rhodope Mountains, where most human-bear encounters in Bulgaria occur. What is characteristic of those cases is that in many of them bears, usually reclusive animals, have come unexpectedly close to human settlements. 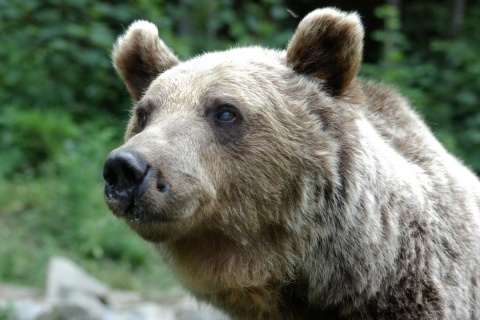 This has led some to argue that the brown bear, a protected species in Bulgaria, has increased its population out of control. Others have argued that the government has not done enough ensure a secluded life for bears, and in particular has not done much to instruct local residents about how to avoid attracting them to their settlements. Over last year, there were two cases of killer bear attacks on humans, one of them lethal, and over the years a number of attacks on livestock have been registered.